No Bake Peanut Butter Truffles are not only creamy and delicious, but they’re also super easy to make. Grab the kids and a handful of super simple ingredients to make a dessert the entire family will love to share! I don’t know about you and yours, but in my house, we are chocolate and peanut butter CRAZY! 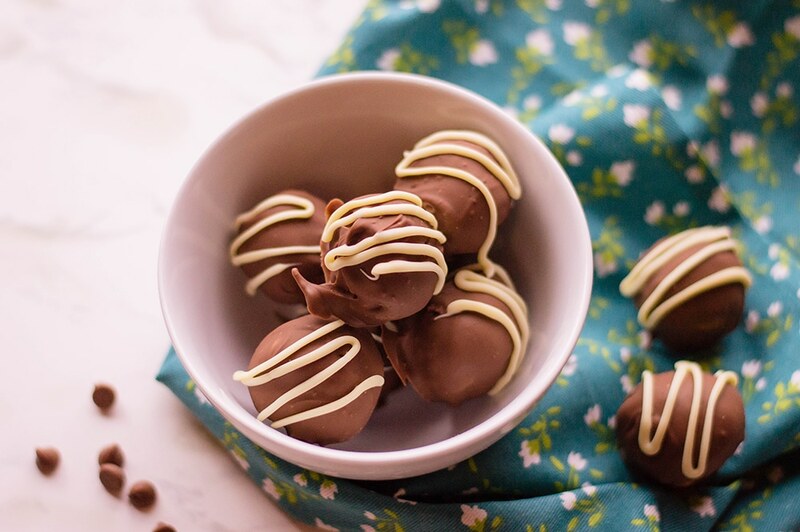 The other day Mini Me wanted to make some of my famous Homemade Buckeyes, but I talked her into trying a new, similar recipe and instead, we made these five-ingredient No Bake Peanut Butter Truffles. Make no mistake, I will be making these truffles a bunch this summer, y’all. 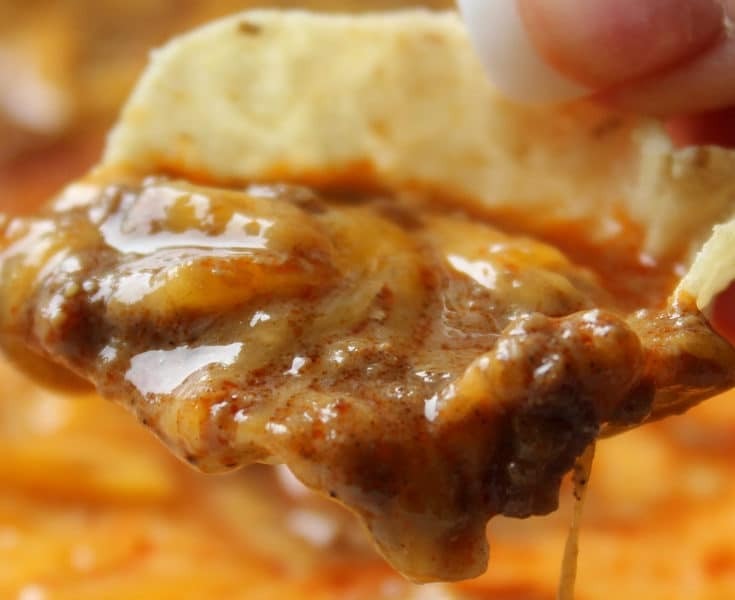 These treats are easy to make and SO delicious. I predict your family will actually want to help you so you can make them faster so they can eat them even faster than that. With this in mind, I recommend making several batches as they disappeared like lightning! When I make homemade buckeyes I grate or chop household paraffin wax and melt it in with the semi-sweet chocolate I dip the peanut butter rounds in. Adding paraffin wax makes chocolate easier to work with, doesn’t change the taste, and gives the candies a glossier, more professional-looking finish. 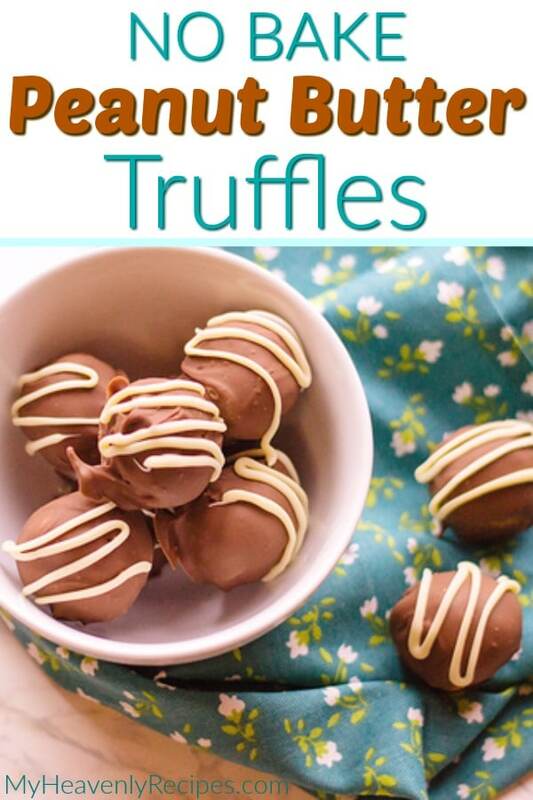 I typically use a ratio of 1/4 stick of wax per cup of chocolate, so for these No Bake Peanut Butter Truffles, I would add about a 1/8 of a stick to your 1/2 cup of semi-sweet chocolate. If you’d like to save yourself a little time and skip turning on the stove, you can melt your chocolate (and paraffin wax, if using) on low heat in the microwave. I tend to check every 30 seconds or so to give it a good stir. Use wood toothpicks or skewers to stab these truffles and dip them into the melted chocolate bath. 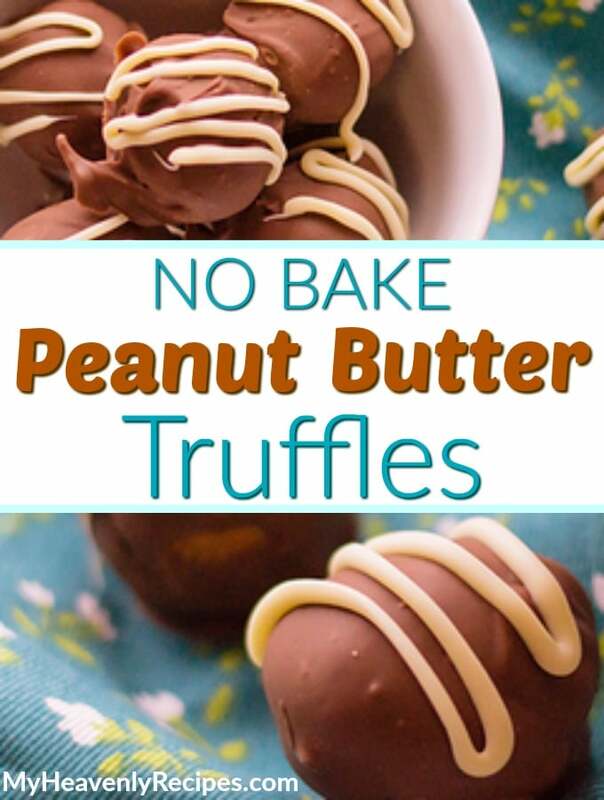 No Bake Peanut Butter Truffles are freezable in an airtight container or freezer bag. 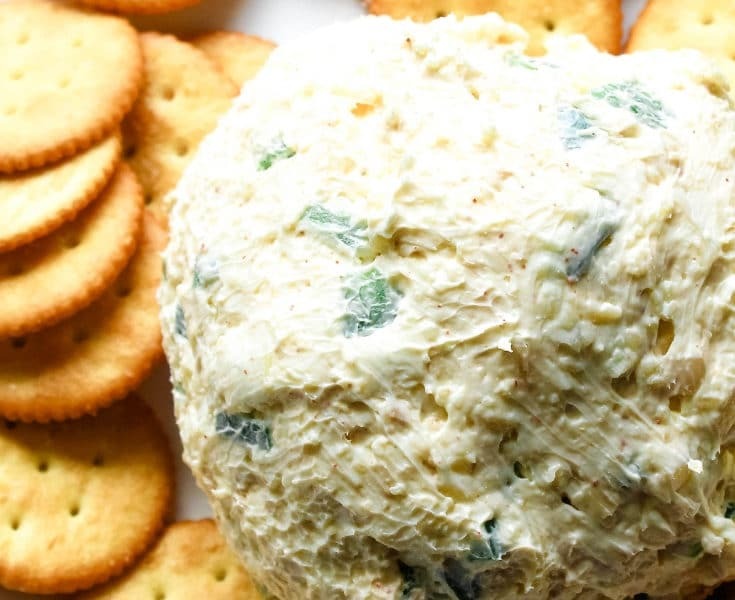 No doubt these treats will be a huge hit with your family and friends, too. Enjoy! Step #1: Line a baking pan with parchment paper and set aside. 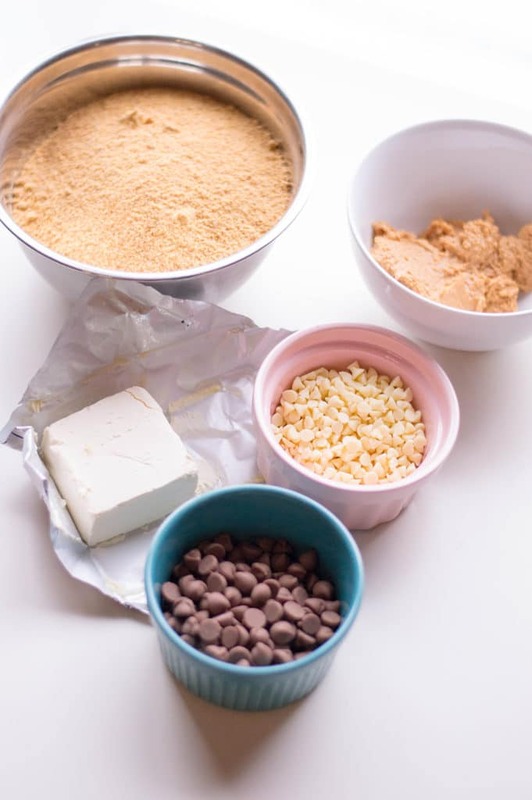 In a large bowl, fold together graham cracker crumbs, cream cheese, and peanut butter. 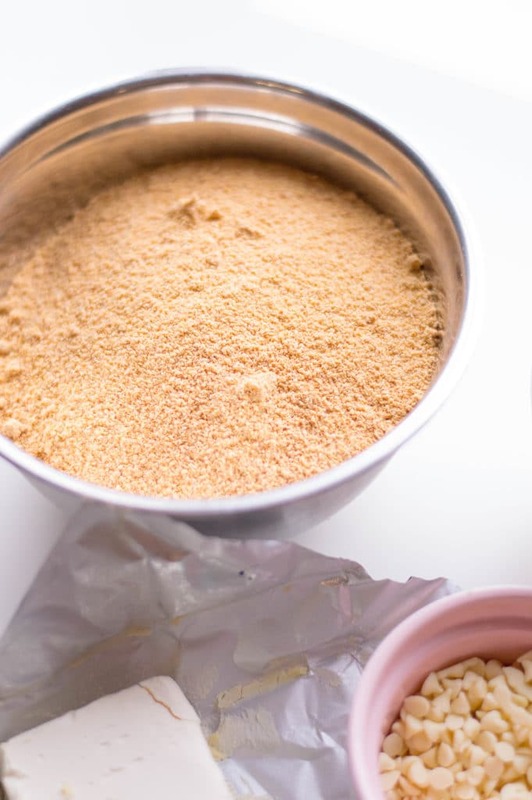 TIP: The mixture should feel like wet sand, so add more graham cracker crumbs and/or peanut butter as you see fit. Step #2: Roll graham cracker mixture into one-inch spheres and place on lined baking pan. Let chill in the refrigerator for at least one hour. Step #3: Using the double boiler method, melt your chocolate chips separately. Step #4: Dip each graham cracker sphere into your melted semi-sweet chocolate. Make sure each sphere is fully enrobed with chocolate. 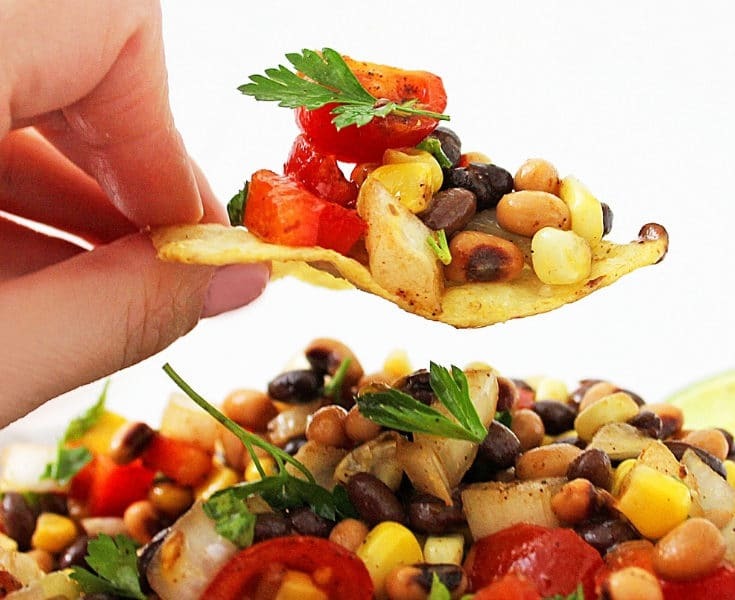 Place back onto your lined baking sheet. Step #5: Drizzle each graham cracker bite with white chocolate. Place in refrigerator once more to allow chocolate to set. 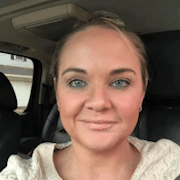 On the Keto Diet or a Low Carb Diet? 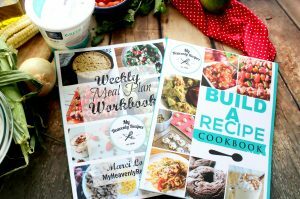 I’ve got a truffle recipe for you too! 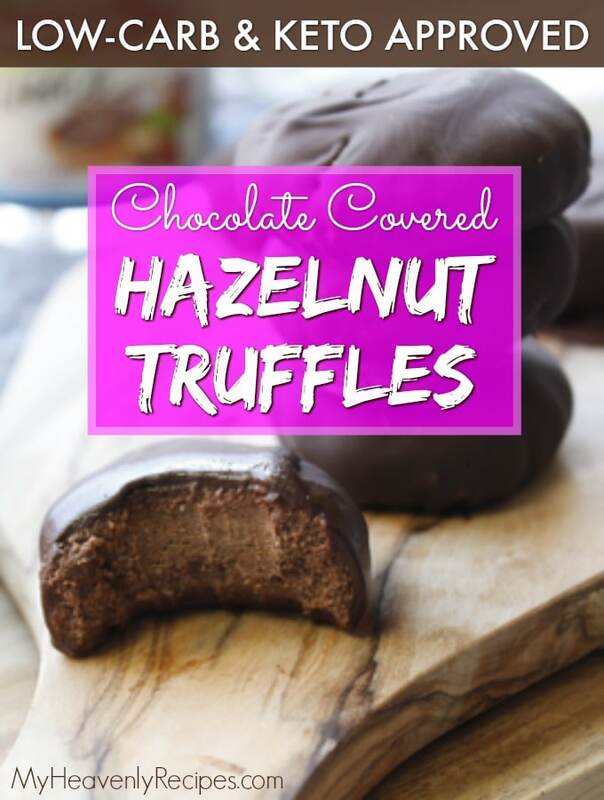 Check out my Best Ever Keto Chocolate Covered Hazelnut Truffles recipe! 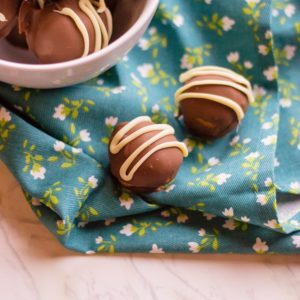 No Bake Peanut Butter Truffles are not only creamy and delicious but, they are super easy to make. Grab the kids and a handful of super simple ingredients to make a dessert the entire family will love to share! Line a baking pan with parchment paper and set aside. In a large bowl, fold together graham cracker crumbs, cream cheese, and peanut butter. (The mixture should feel like wet sand, so add more graham cracker crumbs and/or peanut butter as you see fit). 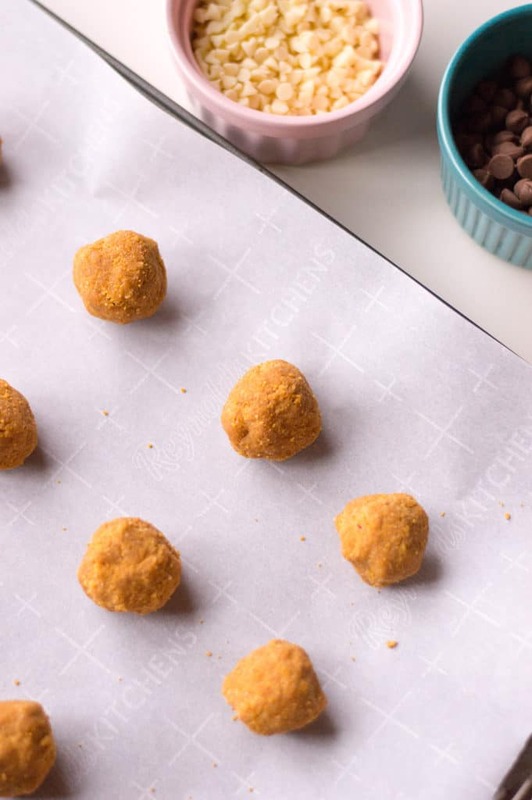 Roll graham cracker mixture into one-inch spheres and place on lined baking pan. Let chill in the refrigerator for at least one hour. 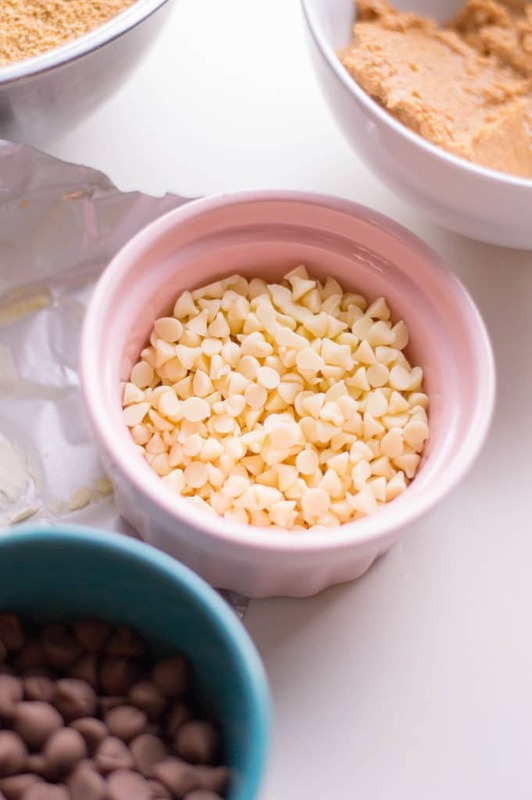 Using the double boiler method, melt your chocolate chips separately. Dip each graham cracker sphere into your melted semi-sweet chocolate. Make sure each sphere is fully enrobed with chocolate. 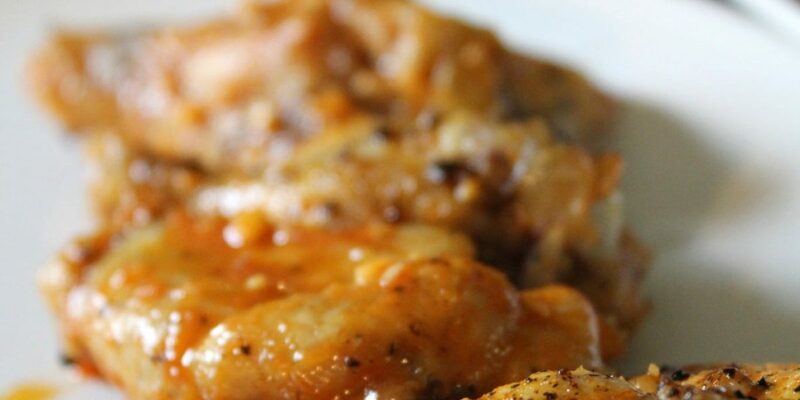 Place back onto your lined baking sheet. Drizzle each graham cracker bite with white chocolate. Place in refrigerator once more to allow chocolate to set.